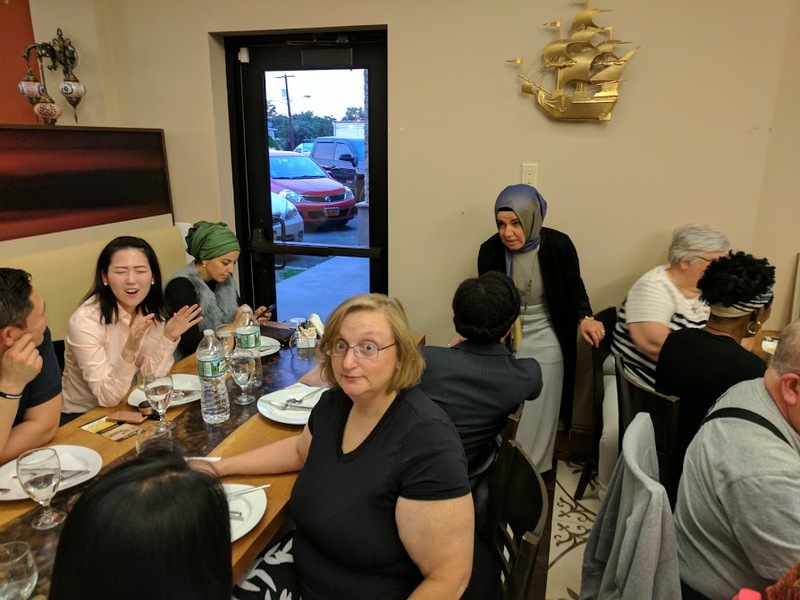 Last night, about 30 of Metro staff and leaders were invited to an Iftar Dinner, which is one of the religious observances of Ramadan and is often done as a community, with people gathering to break their fast together. It was an amazing evening of fellowship, food, and learning about the Muslim faith. I am grateful for my friendship with Imam Ahmet. He is a humble, intelligent, and generous man who I hope I can continue to learn and partner with. One big misunderstanding that many of us make is to associate all Muslims with the radical extremist that we see on the news. As a Christian, I would be offended if non-Christians associated me with the KKK (Klu Klux Klan). And unfortunately, because of our ignorance, many Americans are doing this with the Muslim community. Our hope as a church is to continue to nurture our relationship with the Muslim community so that we can learn, love, respect, and appreciate our Muslim brothers and sisters in this country. Yesterday, was a big step in that direction.